BIRMINGHAM, AL - An explosive five run eight inning by the Birmingham Barons (3-4) would be the difference for the Tennessee Smokies (4-2) as the Smokies fall 5-1 in Birmingham on Thursday night. Jared Young's solo home run in the sixth inning ended a pitching duel and got the scoring started. In the bottom of the eighth Joel Booker tied the game with a run-scoring single to bring Laz Rivera home. With the bases loaded later in the innning, Ti'Quan Forbes delievered for the Barons with a three run triple to clear the bases, giving the Birmingham their first lead in the series, 4-1. The Barons added on another run courtsey of a Gavin Sheets' RBI to bring Forbes home giving the Barons a 5-1 lead. Mauricio Cabrera (W, 2-0) was credited with a win after 1.1 innings of work and a strikeout. 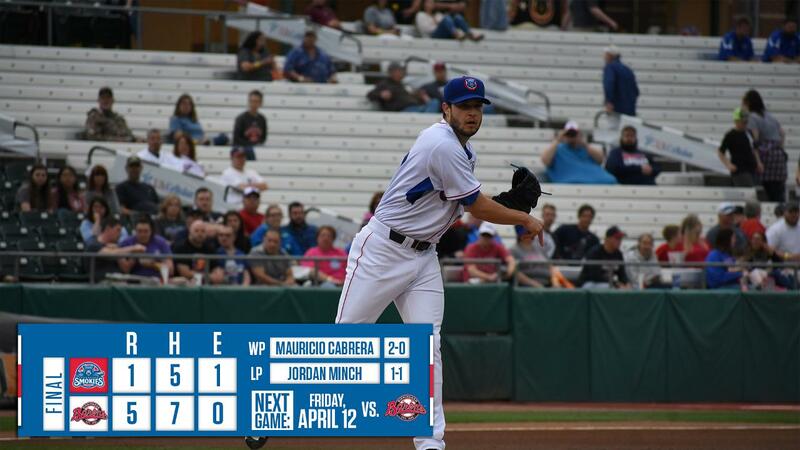 For the Smokies, Jordan Minch (L, 1-1) took the loss from his 2/3 inning performance where he surrended five runs on four hits. RHP Thomas Hatch extended his shutout season tossing five innings and recording four strikeouts without allowing a hit. For Birmingham, RHP Jimmy Lambert went six innings, striking out six batters and giving up the solo home run to Young. 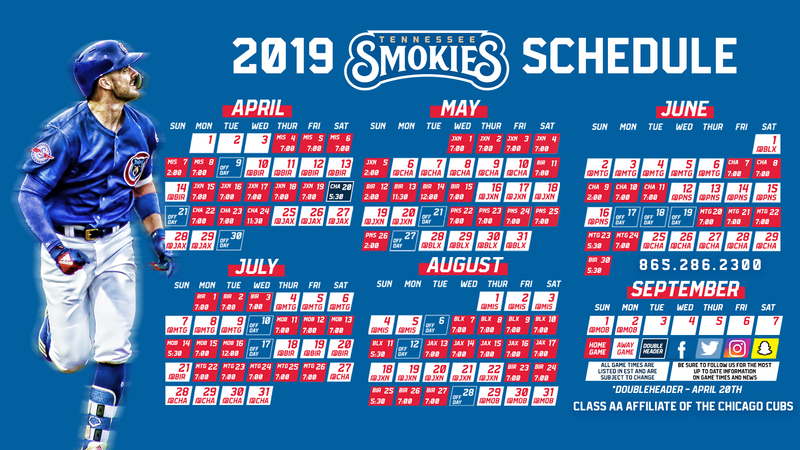 Tomorrow night's 8:05 pm ET game will feature RHP Cory Abbott for the Smokies, and LHP Bernardo Flores starting for Birmingham.